Man - Yuck! 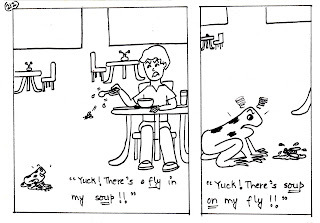 There's a fly in my soup!! 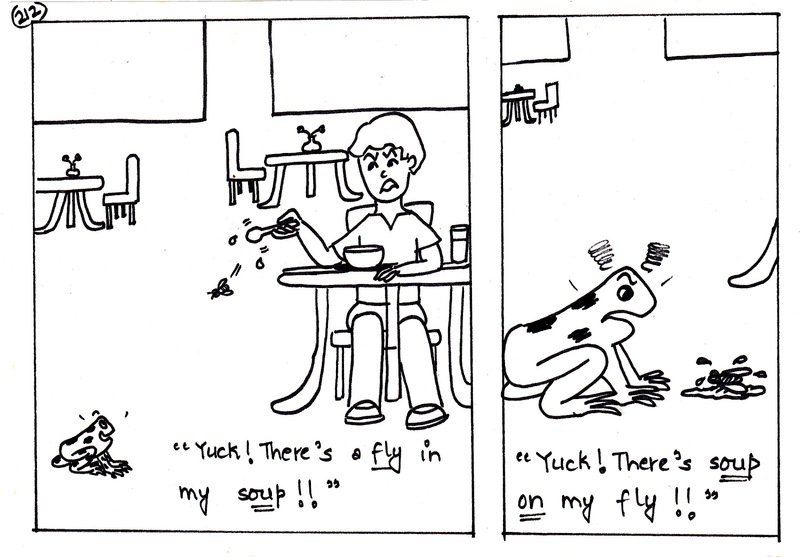 Frog - Yuck! There's soup on my fly! !